Plugins are components that work together with WordPress. They can add functionality from the back-end to the front-end or anywhere in between. 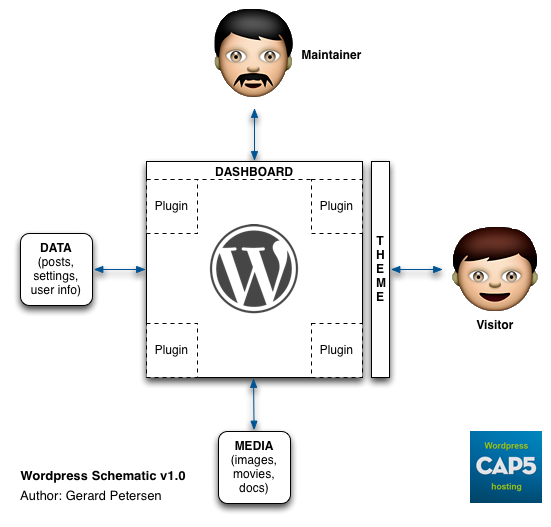 Hope this helps people trying to grasp what WordPress is all about.